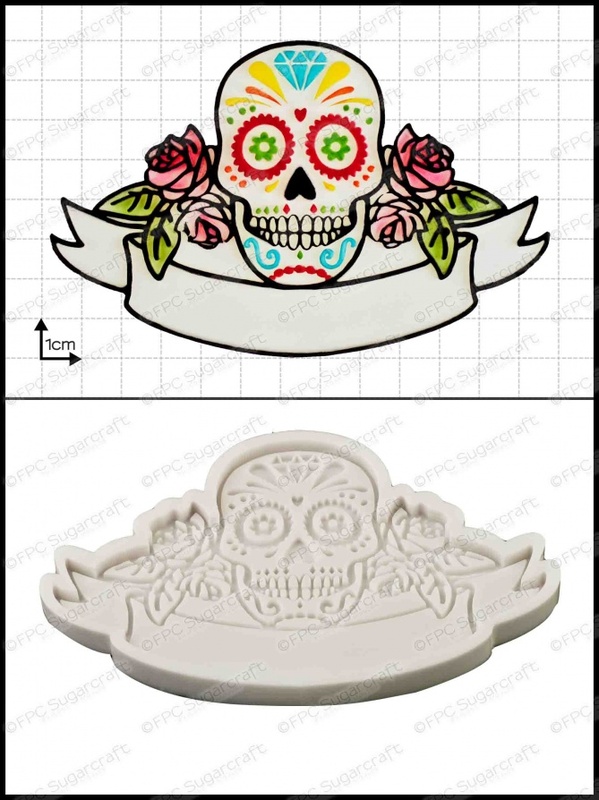 Created using the latest 3D printing technology for stunning levels of detail and precision, our Sugar Skull features a blank banner for you to add your own special message. Ideal for Day of the Dead themed Wedding and celebration cakes and Halloween cakes. Finished impression measures 125mm x 80mm.